Terrorism is all too real a threat, and mass attacks cause a special kind of fear. Terrorist movements like ISIS kill innocents for the worst of causes and the worst of reasons. They seek to use fear to separate the West from the Muslim world, and to divide the Muslim world and dominate it. They try to use alienated Muslims in the West to create a growing climate of anger and distrust with Europe and the United States. They deliberately seek to get the West to overreact and lash out against all Muslims and Islam, just as they try to use extremism and violence to try to get the populations of Muslim countries to attack their own governments. They also feed on Western ignorance of Islam, and the fear of new and unfamiliar risks. We in the West have learned to live with most forms of our mortality. We accept the fact that life has a wide range of risks, almost all of which are far more serious than terrorism: Lightning, suicide, traffic, disease, home accidents produce far more deaths than terrorism. However, we are just beginning to learn a reality at the popular and political level that many security and counterterrorism experts have known for years. Even the most effective counterterrorism efforts can contain and limit terrorism, but stops short of “defeating” it. It is possible to sharply reduce the levels of terrorism, and to contain and deter many attacks. It is not possible to fully secure open societies, prevent sudden attacks by the alienated and disturbed, or defeat Islamic extremism by any mix of counterterrorism and military force than does not address the causes of Islamic extremism. This report is entitled The Uncertain Trends and Metrics of Terrorism in 2016, and is available on the CSIS website at https://csis-prod.s3.amazonaws.com/s3fs-public/160727_Metrics_of_Terrorism.pdf. As pro-azadi protests and stone-pelting incidents go unabated in the Kashmir Valley, a cyber war is also under way and was only intensified on Tuesday when Facebook blocked some more pages of its users, including that of key separatist leader Syed Ali Shah Geelani or deleted posts, photographs and videos placed on these, citing “community standards”. Also, the Facebook page of leading Srinagar English newspaper, Rising Kashmir (RK), was hacked by a group that calls itself “Cyber Caliphate-black flags are coming”. Given the nature of posts, photographs and videos it posted on the page in quick succession, the hackers’ group owes allegiance to Daesh or ISIS. It also placed “Daulat e Islamia Iraq o Sham’s” anthem and other “revolutionary” and “rebellious” songs on the RK’s hacked Facebook page to encourage mujahedin or “holy fighters” in Kashmir, promising them that the “dawn of freedom” was about to break. Earlier, the online social networking site Facebook deleted the page of Mr Geelani who said they did it because he had shared an image of Burhan Muzaffar Wani, Hizb-ul-Mujahideen commander who was killed by security forces on July 8 and whose social media campaign had an outreach among a section of Kashmiri Muslim youth. For several experts in the field of National Defence and Security, ‘Make in India’ has been more than just a mere slogan, and an amalgamation of all the ongoing projects, procurements and forward planning in India’s security sector. Prime Minister Narendra Modi, in his bid to transform the otherwise lackadaisical approach of India’s Defence Public Sector Undertakings (PSUs) and Defence Research and Development Organisations (DRDOs) as well as Private Companies envisioned a progressive approach strongly backed by a strategy built on the ethos of credibility and immediate deliverables, job creation, thus adding strength to India’s indigenous defence industry under his mission “Make in India”. Marred by project delays and issues of Request for Information (RFI), Request for Proposals (RFP) and Transfer of Technology (ToT), licensing issues with Russia, United States, India’s defence sector is currently undergoing massive transformation, a natural corollary to Modi’s frequent visits to other countries and subsequent discussions with his counterparts on defence and security. The revised Defence Procurement Policy is also being projected as the game changer. However financial, political and strategic investments in projects meant to modernise India’s defence industry exhibit a very uneven path. Whether it is the MMRCA, Tejas or AWACS statistics reveal that India is yet to achieve a great breakthrough in defence, compared to China or Pakistan as in the case of AWACS. The Cabinet Committee on Security has time and again sanctioned several projects, but uneven investments have often defeated the very purpose of rapid military transformations, to tackle new asymmetrical threats. If statistics provided by the defence ministry are to be believed, India has signed five deals of more than Rs 2,500 crore since May 2014. Projects for Tactical Communication Systems (TCS), Futuristic Infantry Combat Vehicle (FICV) (worth $ 7.5 billion) for the Indian Army, construction of seven Shivalik class frigates (Project 17 A) for the Navy, by Mazagon Docs Limited and Garden Reach Steel Industry, amounting to Rs 45201 crores are currently under consideration. Hindustan Aeronautics Limited (HAL) is currently in the process of building basic trainer aircraft HTT 40 and Sukhoi MK 1 aircraft in line with the 272 target set for 2018 by the Indian Air Force. There are several such deals being planned. But deadlock over Rafale continues to make headlines. Meanwhile, reacting to the commercial deadlock over Rafale prices with Dassault, other players such as Lockheed Martin (F 16), Saab (Gripen) are now streamlining their business strategy, to meet the requirements of the Indian industry under Make in India. Saab is willing to partner with Indian companies, giving India complete software control to build the Gripen fighter in India. Saab is also keen on setting up an aeronautic training academy in India. The Indian Armed Forces operate nearly 150 mid-sized UAVs and many more handheld ones. India needs to push its ‘Make in India’ initiative for UAVs. Mumbai and New Delhi police are on the verge of acquiring UAVs. Aviation may come to the rescue of India’s dismal population-to-police ratio of 130 to every 1,00,000. The Hindustan Aeronautics Limited (HAL) along with DRDO’s Aeronautical Development Establishment (ADE) and National Aeronautical laboratory (NAL) Bangalore have developed mini and micro UAVs of three-kilogramme class. 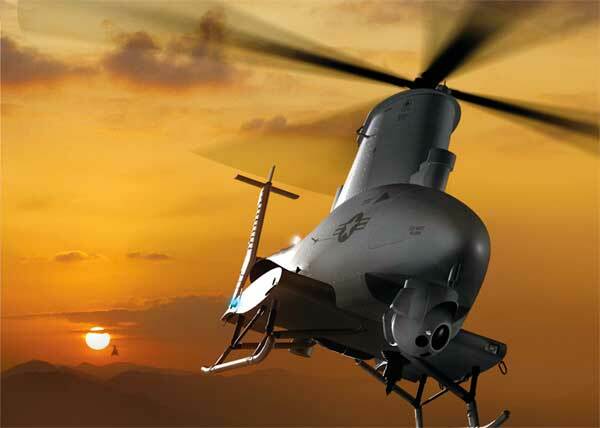 HAL designers are working on eight to ten kilogramme UAVs, which are expected to receive certification by early 2016. India’s indigenous capability has to be built up through a leapfrog by joining up with Israel, the world leader in UAV technology. Whether tiny quadcopters that fly within a few hundred feet of their operator or huge winged craft piloted via satellite thousands of miles away, Unmanned Aerial Vehicles (UAVs) are taking to the skies in ever increasing numbers for a variety of applications. The exotic military reconnaissance UAVs of Iraq and Afghanistan War have now grown in numbers and sophistication and are now undertaking full-fledged combat engagements and ground strikes in near autonomous operations. In April 2013, a BAE Systems Jetstream, a standard commercial propeller plane converted into an UAV research aircraft, autonomously flew an 805-km journey without a pilot onboard heralding a huge revolution in civil aviation. The main difference between this and hundreds of other UAV projects was that this was an unmanned airliner. UAVs are already being employed as eye-in-the-sky in roles such as policing, law enforcement, border control, sea lane monitoring, traffic control, crime scene photography, searching for missing persons, monitoring wildfires and combating drug trafficking. They could replace hundreds of CCTV cameras. The applications are as wide as human imagination. The entire concept of aerial warfare will see a change as UAVs become a part of all our day-to-day chores and the day will come when we may be passengers onboard an aircraft without a conventional cockpit. 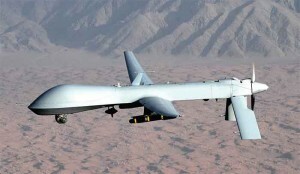 The era of UAVs began with the concerns of the United States Air Force (USAF) over losing pilots in hostile territory. This was more so after a U-2 was shot down over the Soviet Union in 1960. UAVs were first used in Vietnam. Israel developed the first UAV after the 1973 Yom Kippur war. UAVs helped Israel completely neutralise the Syrian defences in the beginning of 1982 Lebanon War in the famous Bekka Valley operation. UAVs were used in the 1991 Gulf War. Initial generations were primarily for surveillance but others such as General Atomics MQ-1 Predator were armed with AGM-114 Hellfire air-to-ground missiles. On July 24, 2016, after spending 287 days in Singha Durbar (Lion’s Palace), the seat of Nepal’s government as Prime Minister, KP Sharma Oli resigned from his post minutes before the Parliament was to vote on a no-confidence motion he was likely to lose. Consequently, on July 25, 2016, President Bidya Devi Bhandari asked the political parties to elect a new Prime Minister and form a government on the basis of political consensus within seven days. Earlier, on July 22, 2016, Pushpa Kamal Dahal, Chairperson of the Communist Party of Nepal-Maoist Centre (CPN-Maoist Centre) and also a major coalition partner with 82 seats in the Communist Party of Nepal-Unified Marxist Leninist (CPN-UML)-led coalition government, tabled a no-confidence motion in Parliament against Prime Minister Oli. Bimalendra Nidhi, a central-level leader of the Nepali Congress (NC), the largest opposition party with 206 seats, seconded the no-confidence motion tabled by Dahal. The Parliament also rejected three key Bills – the Finance Bill, the Bill to Raise Domestic Debt and the Loan and Guarantee Bill – tabled by the incumbent government right before Dahal tabled the no-confidence motion against the incumbent Prime Minister. Speaker Onsari Gharti Magar allotted three days for debate on the no-confidence motion and the motion was to be put to vote on July 24, 2016. The attack on a restaurant in the Gulshan area, the high-profile diplomatic enclave of Dhaka, marks the formal arrival of ISIS in the Indian sub-continent. The attack is one of the typical ISIS styled terrorist attack in which a bunch of tech-savvy and educated young Jihadis goes on a rampage at high-profile targets like airports, stadiums and diplomatic areas across the cosmopolitan capital cities like Istanbul, Paris and Brussels. Although the government of Bangladesh has always been in a denial mode about the presence and spread of ISIS in Bangladesh, the ISIS’ spread in Bangladesh has been going on for quite some time now and prestigious global intelligence portals like STRATFOR had informed well in advance of the strong Jihadi activity going on inside the social, cultural and political crevices of Bangladesh. This incident has major political and security implications on India. So far Indians have rejoiced in the fact that despite having the world’s second-largest Muslim population, not more than 25 Indians have joined ISIS in Syria as foreign fighters. This is indeed, a matter of great pride in deep-rooted traditions of liberal Sufi Islam in India and the secular-liberal ethos of Indian society and polity, but in the euphoria, somewhere Indians have missed the realistic aspects of the said issue. The reasons for Indians not joining the ISIS in Syria are myriad. The geographical distance, strict surveillance and counter-terrorism measures of Ajit Dobhal and his team, cultural alienness and a disconnect with the socio-political milieu of Middle East have been the major factors that prevented the Indian Muslims from joining ISIS en masse. Additionally, and very importantly Indian Muslim fighters were not treated at par by the Arab fighters, and they were made to do menial jobs like cleaning toilets. The advent of ISIS in South Asia should never be a surprise for us. It was in the offing for quite some time. Before discussing, its immediate repercussions on India a brief historical background needs to be mentioned. The roots of the fascination of Mujahiddins with India can be traced back to the Quranic concept of Ghazwa-I-Hind. Airbus DS Electronics and Border Security (EBS) and Dedrone, San Francisco, have signed a cooperation agreement and are joining forces to counter the threat posed by small drones. The partners intend to jointly offer counter-UAV systems that allow unmanned aerial vehicles (UAVs) invading critical airspace to be detected reliably so that electronic countermeasures can be initiated at an early stage. “All over the world, incidents with universally available small drones have revealed a security gap with regards to major events or critical installations such as airports,” said Thomas Müller, Managing Director of Airbus DS Electronics and Border Security (EBS). “By pooling the capabilities of Airbus, with our long-range radar and jamming functions, and those of Dedrone, with their market-leading multi-sensor platform, we have a wide deployment range covering both urban and extra-urban areas. 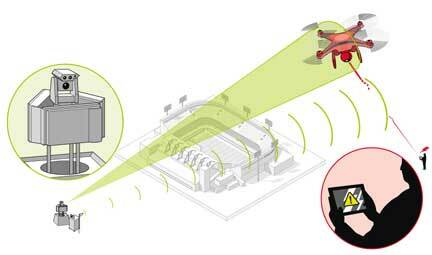 Dedrone CEO Jörg Lamprecht added: “Small drones are conquering the airspace. But criminals have also discovered this technology and use it to smuggle, to spy and in the worst case to even carry out terrorist attacks. We are therefore delighted to offer, together with Airbus, an effective, complete solution for this new challenge. Our systems complement each other ideally, combining the early detection of drones at short and long range with the capability to automatically initiate effective countermeasures. The Counter-UAV System to be jointly offered by the companies will have a modular design and will offer the capability to combine various sensors – cameras, radar systems, microphones, direction finders – with different ranges of up to 10 kilometres. The data provided by these sensors will be combined by means of the latest data fusion and signal analysis technologies. On the basis of an extensive database of UAV patterns and signatures as well as real-time analysis of control signals, a jammer then interrupts the link between drone and pilot or disrupts its navigation. As a rule, the drone then flies back to its starting point or lands at its current location. Furthermore, the direction finder tracks the position of the pilot in order to arrest him subsequently. Consequent upon Civil Nuclear Cooperation, the Department of Atomic Energy (DAE) has been importing Uranium Ore to meet the Fuel requirements of Safeguarded Nuclear Power Plants. Agreements for import of uranium have been signed with M/s. JSC TVEL Corporation, Russia; M/s. JSC NAC Kazatomprom, Kazakhstan, and M/s. CAMECO, Canada. Russia, Kazakhstan and Canada are the countries supplying uranium as on date for creating uranium reserve. * In the form of Natural Uranium Di-oxide Pellets. $ In the form of Enriched Uranium Di-oxide Pellets. # In the form of Natural Uranium Ore-Concentrate. A comprehensive radioactive waste management system is established taking into account the operational capability for the management of radioactive waste and an independent regulatory capability for its overview. The radioactive solid wastes generated during operation and maintenance of nuclear power plants are segregated and volume reduced prior to its disposal. Disposal of waste is carried out in specially constructed structures such as stone lined trenches, reinforced concrete trenches and tile holes. These disposal systems are designed on multi-barrier principle for ensuring effective containment of radioactivity. The areas where the disposal structures are located are kept under constant surveillance with the help of bore-wells laid out in a planned manner. This policy is on par with international practices following the guidelines of International Atomic Energy Agency (IAEA). The quantity of low and intermediate level waste to be stored at site is about 0.15 cubic meters/year/MW. The low level radioactive solid waste generated during O & M of nuclear power plants and other nuclear facilities is disposed in specially constructed structures such as stone lined trenches, reinforced concrete trenches and tile holes within the boundary of facilities after volume reduction. These disposal facilities are co-located near reactor/nuclear facilities to avoid transportation of radioactive waste through public domain. In 1949-50, there were large-scale communal riots in East Pakistan (now Bangladesh), which led to a huge exodus of Hindus into West Bengal. In the wake of these riots, the Prime Ministers of India and Pakistan, Nehru and Liaquat Ali Khan, signed an agreement known as the Nehru-Liaquat Pact or Delhi Pact aimed at securing peace and ensuring that both countries would protect their respective minorities. Clause (C)(8) of the pact required the governments of both countries to prohibit propaganda inciting war between the two countries. However, it was felt that this clause in the treaty could not be enforced under Indian law. Pakistan succeeded in becoming the frontrunner in the recent MCSI`s Annual Market Classification Review. Morgan Stanley Capital International promoted Pakistan to the emerging markets’ (EM) list, an accomplishment even China could not achieve. The global index provider declined to include China’s Class-A mainland shares to the EM index referring to market approachability problems in the country. Despite the fact that they guaranteed that Chinese A shares will again be checked on in its 2017 cycle, for the time being the choice is a hit to China’s aspiration to join international capital markets. For Pakistan, on the flipside, the inclusion is a great prospect even though the it weighs a meager 0.19% in the EM index in contrast to a comparatively solid 8.8% it held in the MCSI Index. Some analysts are cautious about Pakistan`s mere non-existent placement in the index especially comparing it to Pakistan’s strong position as the 4th largest country in the EM Index, while others are optimistic mainly because of Pakistan’s image restoration as a credible state in terms of foreign investment, a ground on which China lost. Also, this change is not simply restricted to the nation’s business sector credibility and consistency. Since the recent couple of years, Pakistan has figured out how to stay in the news for all the right reasons. The nation has finally understood how to detect the ideal harmony among financial and political euphoria since its non-military personnel authority chose to amalgamate its powers with the much persuasive military. As a result of which the nation has not only witnessed a decline in terrorism but also favorability in its economic indicators, which is recognized by the global entities. Meeting for the first time since the Permanent Court of Arbitration ruling on the South China Sea, the foreign ministers of the 10-member ASEAN adopted a joint communiqué on July 25. Despite countries like the Philippines and Vietnam being members of the grouping, the communique had no mention of the verdict. This has once again raised the question of the utility of consensus diplomacy often referred to as the “ASEAN way” — one of the grouping’s guiding principles since its formation. Ever since The Hague-based, UN-backed tribunal’s July 12 verdict invalidating China’s claims in the South China Sea, much of the focus has been on the reactions of China and other major powers, including the United States, India and Japan. It is only now that ASEAN’s reaction or the lack of it on the verdict is getting some attention in the context of the 49th ASEAN foreign ministers’ meeting (AMM) that was held in the Laotian capital of Vientiane on July 24 and 25. The AMM meeting was an opportunity for the regional bloc to use the verdict to further boost its standing as a forum that upholds and respects international law. But the joint communiqué, described as a “compromise” document, was more to save the bloc’s “unity” — a feature that it prides itself — and also with the hope that the “watered-down” statement would lower tensions in the region. Though these factors are important, the joint statement has yet again exposed ASEAN (Association of Southeast Asian Nations) that it is today a deeply divided regional body and is unable to take strong position on critical issues affecting long-term regional peace and stability. More importantly, the failure of ASEAN to mention the ruling in the joint statement will affect the implementation of the verdict. China has already rejected the ruling. Does China Think America Is Using a 'Wedge Strategy'? The permanent court of arbitration (PCA) ruling from The Hague earlier in July once again has directed the world’s attention to a set of rocks and reefs in the South China Sea. One of the valuable roles of this ruling is to reinforce the notion that these features are indeed “rocks” and not “islands” that would have been entitled to an exclusive economic zone (EEZ). In theory, the resulting negotiations should now be considerably simpler. However, in practice many see the future scope for a negotiated settlement as actually having become more complicated. That conclusion derives from the basic fact, well known to readers on this forum for realists that power remains the key arbiter of outcomes in world affairs and not international law. Such a world may be far from ideal, but that is the one we live in. In fact, China’s humiliation or “loss of face” (丢面子), when combined with heated nationalism at home and the gradually shifting military balance in the western Pacific, suggests that Beijing may lean ever more heavily on coercive tools in this dispute. If an escalating situation in the South China Sea inaugurates a more alarming Cold War-type rivalry between Beijing and Washington, it is more than just academically interesting to wonder what form such a strategic competition might actually adopt. A spring 2016 article from the Chinese-language journal China’s Foreign Affairs (中国外交) may offer some hints regarding Beijing’s possible embrace of “dark arts” within such an escalating rivalry. The article, “Research on Wedge Strategies: Review and Evaluation” discussed in this edition ofDragon Eye is by author Ling Shengli, a scholar at the Foreign Affairs College (外交学院) in Beijing. There is reason to view the article as significant, since it was published earlier in the prestigious journal World Economics and Politics(世界经济与政治) and was supported by government research grants. Chinese companies have funded and built roads, bridges and tunnels across Central Asia, increasing trade and making China the dominant economic power in the region. In 2013, trade between China and the five Central Asian states (Kazakhstan, Kyrgyzstan, Tajikistan, Turkmenistan and Uzbekistan)totaled $50 billion, while the five states’ trade with Russia—previously the region’s top economic player—amounted to only $30 billion. BEIJING—Leaked Islamic State records provide the first solid evidence that more than 100 Chinese nationals have joined the jihadist movement in Syria, according to two recent studies, findings that come as Beijing is seeking closer cooperation from Western governments to counter terrorism. Some Chinese recruits didn’t specify their origin, but gave names, noms de guerre or other details suggesting they were Uighur. The research from the New America think tank and the Combating Terrorism Center at West Point was based on Islamic State registration forms, leaked by a defector, for recruits entering Syria from Turkey from mid-2013 to mid-2014. It corroborates Chinese officials’ assertions that there are about 300 Uighurs fighting with Islamic State in both Syria and Iraq. It’s unclear if more Chinese fighters joined the group outside the period covered by the leaked documents. However, the findings cast doubt on China’s frequent assertion that many Uighur militants had trained and worked with al Qaeda and other foreign groups over the past nearly two decades. One of the studies found none with former jihadist experience and the other found four, with two listing experience in Pakistan, one in Afghanistan and one in Xinjiang, which Uighur separatists call East Turkestan. China’s Foreign Ministry didn’t respond to a request for comment. Leaders of the two countries have recently overlooked some disagreements to emphasize their common interests. In December of 2015, the Iraqi Army retook Ramadi from Islamic State. Eighty percent of the city of five hundred thousand lay in ruins, and many of its buildings were laced with IEDs and booby traps. The first Iraqi teams sent in to demine the buildings suffered 80 percent casualties. Standing in the 110-degree baking sun at Bnaslawa training base near Erbil in the Kurdistan region of Iraq, the experience of Ramadi was in the minds of the trainers who are helping the Kurds learn combat skills, ranging from infantry tactics to the use of mortars, before being sent into the field. In one area Kurdish peshmerga, the armed forces of the Kurdistan Regional Government, were training to clear a dry riverbed so that an infantry column could pass through. Walking three abreast the men swept the dirt and gravel for fake IEDs and marked the “safe” path. “Our experts say they have never seen things like what ISIS has done, even in Afghanistan. The motivation of ISIS is destruction,” said a coalition trainer. Under the umbrella of the Kurdistan Training Coordination Center of the Combined Joint Task Force–Operation Inherent Resolve, seven partner nations are providing what they call “capacity building” for the Kurds. This includes Italy, the Netherlands, Finland, Germany, Hungary, Norway and the UK. Among the training is the work to detect and demine explosive devices left behind by ISIS. What a difference a year makes. At this time in 2015, Poland enjoyed more influence in Europe than at any point in its history. After reforming and growing its economy in the years following its admission to the EU, Poland—the union’s sixth most populous member with its eighth-largest economy—earned a seat at Europe’s head table from which it had long been excluded by partition, war and great-power struggle. Then in 2014, in a highly symbolic gesture, the union’s leaders elevated Poland’s prime minister, Donald Tusk, to the presidency of the European Council. Now an island of political and economic stability, Poland’s voice and opinion became sought after in a way they had never been before. Fast forward to summer 2016. Poland’s de facto leader, Jaroslaw Kaczynski, is back in power. Poland is now sidelined in the EU, subject to its rule-of-law mechanism following the ruling party’s assault on the Constitutional Tribunal. Polish leaders have soured relations with their hugely important neighbor, Germany, by railing against perceived German bullying of Polish interests. Poland’s reputation as a reliable European partner is tarnished after its leaders refused to cooperate on migration and climate change. Even President Obama, speaking at a press conference alongside Poland’s President Andrzej Duda during the recent NATO summit, called on Poland not to erode its democratic achievements. Once hailed as a success story of European expansion, the success and vitality of Poland’s democracy are being called into serious question for the first time since its emergence from the Cold War. On July 21 al-Qa`ida issued arguably its strongest rebuke ever to the Islamic State, warning that a pledge to Abu Bakr al-Baghdadi meant being a “partner in every curse upon the Muslims” including “killing thousands of mujahideen.” Our cover story by Clint Watts outlines how despite such rhetoric, competition between the two global jihadist powerhouses and their satellite groups has moved from a “destructive” phase in which they clashed with each other in Syria in the first half of 2014 to an “escalating” phase resulting in a surge in attacks worldwide. He argues that with the Islamic State weakening at its center, escalating competition will be a strong feature of an increasingly fractured and “multi-polar” jihadist landscape in the future and assesses strategies available to get jihadist groups to turn their guns on each other. William McCants explores how the Islamic State’s aggressive campaign to obliterate all jihadist rivals has seen some jihadist groups around the world bandwagon to its cause but has also antagonized powerful local rivals. He argues the Islamic State’s lack of jihadist diplomacy will leave it with few allies if and when the caliphate collapses, potentially accelerating its demise. “It's been a tremendous, I think, advantage as far as trying to fulfill our various missions,” said CIA Director John Brennan. Brennan made the remarks at an Intelligence and National Security Alliance event on July 19, where he discussed the CIA’s modernization efforts. Housing the Open Source Enterprise within the CIA’s new Directorate of Digital Innovation allows a combination of the right personnel and tools to get a more accurate analysis of world events, Brennan said. Combining the data sets offers a clearer picture of an event, he added. The CIA’s push to emphasize open source tools and analysts mirrors other efforts going on within the IC. The National Geospatial-Intelligence Agency, for example, is gobbling up imagery from DigitalGlobe, Planet Labs and Skybox Imaging to “see even more,” according to Deputy Director Sue Gordon. NGA officials, including Director Robert Cardillo, have trumpeted the need for NGA to invert its geospatial collection efforts to primarily open source efforts. 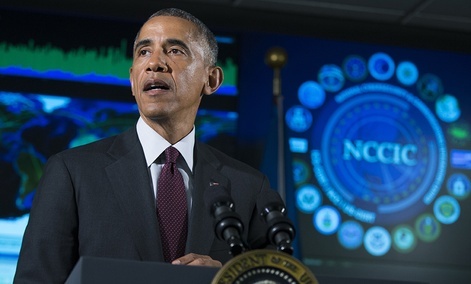 Should CYBERCOM be a combatant command? In 2010 U.S. Strategic Command members — from the Army, Navy, Air Force, Marine Corps and Coast Guard — combined to form U.S. Cyber Command, a subordinate operational unit. Think about what was happening back in 2010 and 2011. In 2010 multiple articles were published about a massive cyberattack that struck tech icon Google and other U.S. companies. Many associated the attack with a suspected Chinese government operation that used human intelligence techniques and high technology to steal corporate secrets. That was one of many cyber incidents that year. 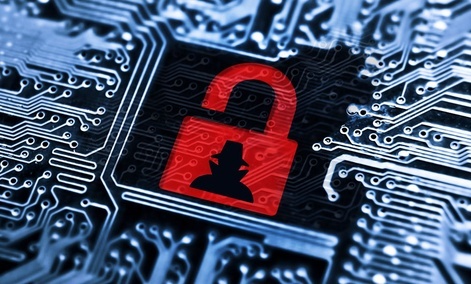 Then in 2011, cyber espionage and sabotage were at the top of our list of cyber concerns. Those concerns were intensified as a wave of Advanced Persistent Threats (APT) struck companies, international agencies and governments all over the world. With all that has happened since 2010, House Armed Services Committee Chairman Rep. Mac Thornberry, R- Texas, has raised an important question: “Isn’t it time for CYBERCOM to stand on its own as a combatant command?” As a combatant command, CYBERCOM will be the Unified Command Plan that establishes the missions and geographic responsibilities among the combatant commanders. Few important decisions are ever clear cut. There a many pros and cons to strategic decisions such as this. One thing is for sure: The right decision is the one that allows CYBERCOM the greatest flexibility and minimizes the time to make decisions and respond. Their mission and criticality will only continue to increase. The response to the OPM breach is an interagency effort, according to officials at the Department of Homeland Security, the FBI and the White House National Security Council. There is not a policy yet that specifies who takes charge when a significant government data breach is detected, even as reports of agency hacks mount. In the past year alone, there have been breaches at the White House, Postal Service and State Department, as well as an earlier March 2014 intrusion at OPM. It is unclear whether any senior official has been removed from a position as a result of one of these incidents.